Brining, the process of letting a hunk of protein soak in a salt solution for a few hours, is a great way to add flavor and moisture to any cut of meat. I brine these wings for 3 hours before using a sweet and spicy rub. I fry them in oil, then finish them off in the oven. Combine all the ingredients in a saucepan and heat until the sugar and salt dissolve. Remove the saucepan from the heat, and let it cool to room temperature. Combine all the ingredients in a bowl. Set aside. Place the chicken pieces in a Ziploc bag and pour the cooled brine into the bag. Place the bag in a bowl to prevent leaks and place it in the fridge for 3 hours. After 3 hours, remove the chicken from the brine, rinse it with cold water and dry it with paper towels. Discard the brine. Pre-heat the oven to 325 degrees. Pre-heat the oil in a heavy pan at 325 degrees. Scramble the eggs in a bowl. Set it next to the bowl with the spice mixture. Dip the chicken in the egg, then in the spice mixture, shaking off the excess. Place the pieces in the hot oil and fry them until golden. They don’t need to cook all the way through. 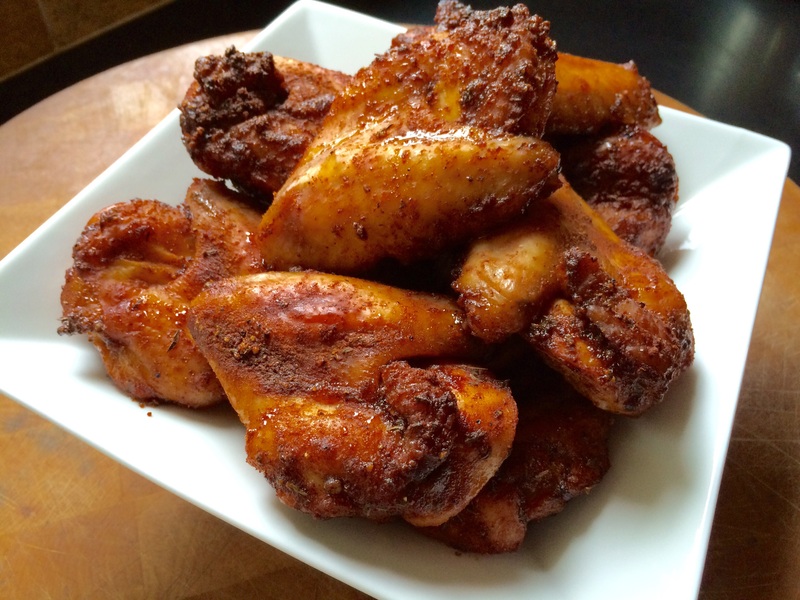 Turn the chicken wings over to fry the other side, then place them on a sheet pan lined with non-stick aluminum foil. When all the chicken wings are fried and on the sheet pan, place them in the oven to finish cooking, about 30 minutes. Watch the chicken so that it doesn’t burn.